In Northern Vietnam, there are many majestic natural landscapes and beautiful yellow terraced rice paddy fields on the hills and friendly people in remote and mountainous regions. This trip will bring you a great chance to explore beautiful landscapes of the Northern Vietnam. 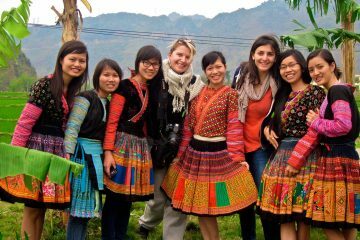 You will have chance to visit local market and meet to exchange with local ethnic group minority in mountainous area along your trip. 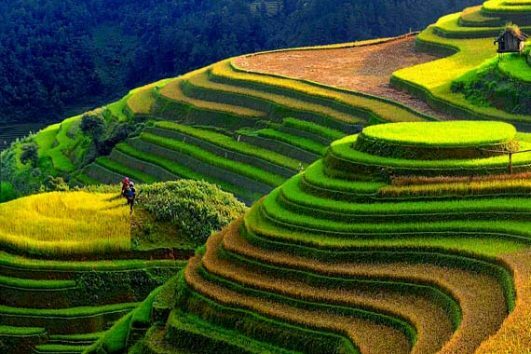 This adventure is the best way to see and take photos yellow terraced rice paddy fields in Mu Cang Chai and Hoang Su Phi that have been recognized as National Heritage Sites of Vietnam. You will also have chance to experience and enjoy healthy environment with beautiful rock mountains along one of the best road of Dong Van Rock Plateau. 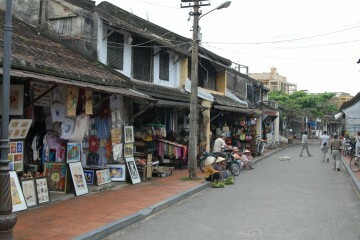 You can visit and explore Dong van ancient town by night and local market on early morning here. 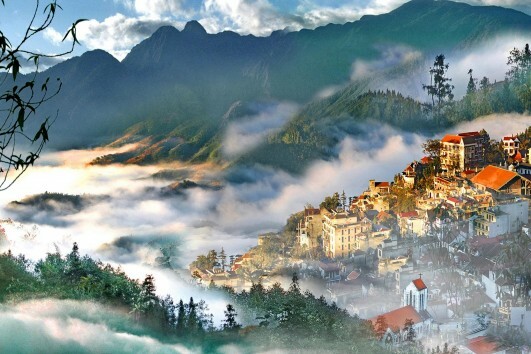 Besides, the trip will lead you to the peak of Ma Pi Leng Pass and see Meo Vac town in Ha Giang province. And then you will continue to get new experience on boat to discover Ba Be lake and beautiful Ban Gioc Waterfall and historic Pac Bo Cave. 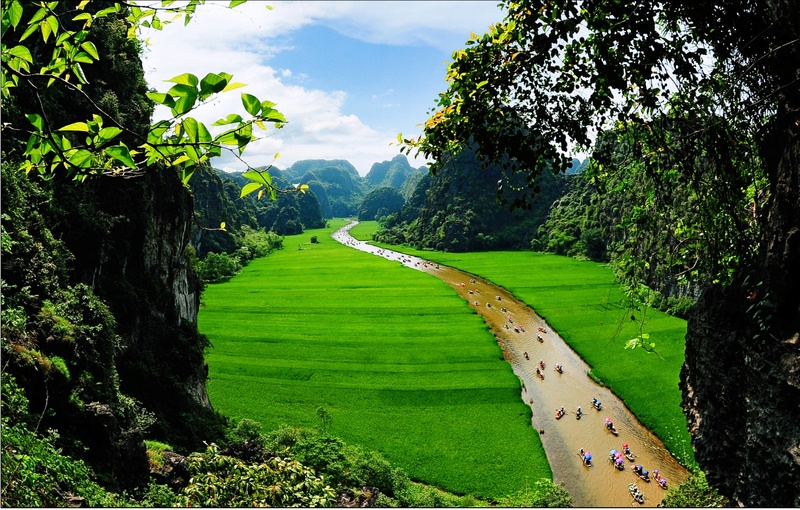 You will be greeted at your hotel at 7:30 am and drive to Ninh Binh, approximately 2 hours away. Once at Ninh Binh, you will visit visit Hoa Lu Ancient citadel, after lunch to explore Trang An Scenic landscape complex. Apart from its historical interest, the area is also one of astounding natural beauty with limestone peaks whose splendor is often said to surpass that of Ha Long Bay. It is true that this area is often referred to as “Ha Long Bay on Land”. 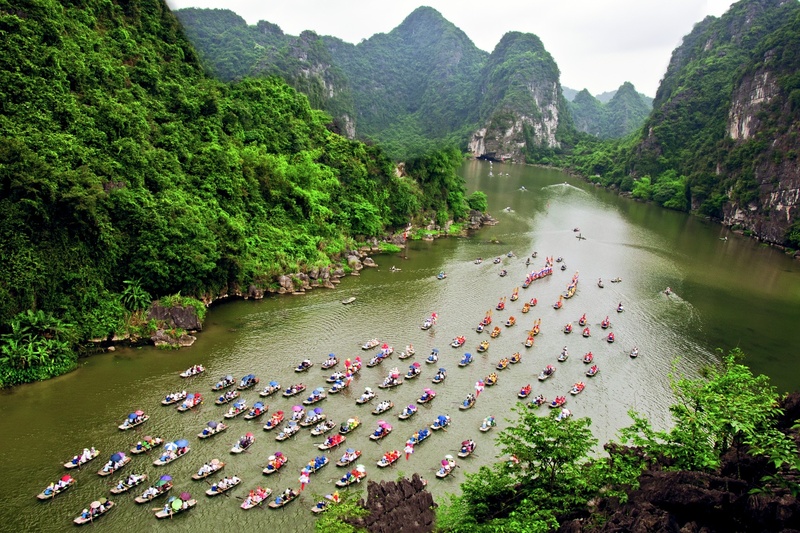 The tour includes being rowed along the Ngo Dong River, which makes for a truly unforgettable experience, passing between towering limestone peaks. And you take boat trip to visit a complex of caves such as: Sang Cave, Toi Cave, Ba Giot Cave, Nau Ruou in mystery and wildness, see scenery of mountain and rivers Ha Long on land of Ninh Binh. After daytrip in Ninh Binh, you will get dinner at host family and overnight at An Phu Homestay. 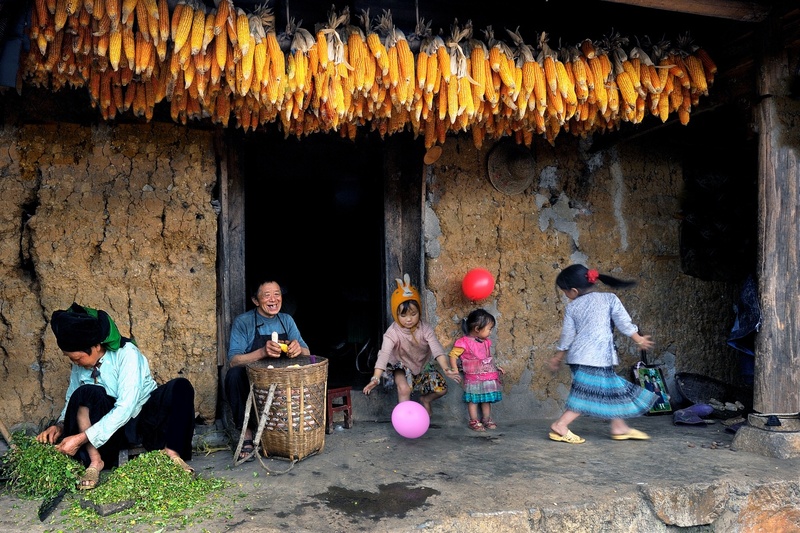 After breakfast at your homestay, you will go directly to Mai Chau. And in the afternoon, you take a short walk to visit the ethnic Thai village if time permit, then dinner. Overnight in Mai Chau Villas. After breakfast, you continue your road trip, following the national road 6 going uphill towards Moc Chau highlands. Some stops will be made en route for you to visit local hill tribe villages are located by the road. You will meet up there the H’mong and the Thai people. Arriving in Moc Chau, you may want to make a stop for some coffee break before turning right. On arrival in Nghia Lo around mid/late afternoon, you will check in a local hotel. If time permit, enjoy a short visit to a local Thai village where you meet up with local villagers, chat with them to understand more about their culture and traditions. Overnight at Madam Chung’s Homestay. Today is the highlight of the trip since the drive takes you through the area where there are the most beautiful terraced rice fields in Vietnam. After breakfast, you leave Nghia Lo travelling towards Tu Le, Mu Cang Chai to see beautiful terraced rice fields. 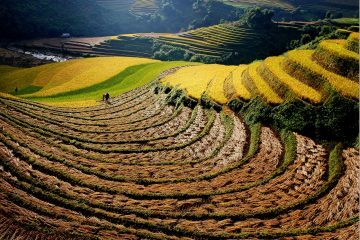 You will marvel at the terraced rice fields at Mu Cang Chai, the spectacular view of the Hoang Lien Son Mountain Range at Than Uyen, and the hidden road from Than Uyen to Sapa. 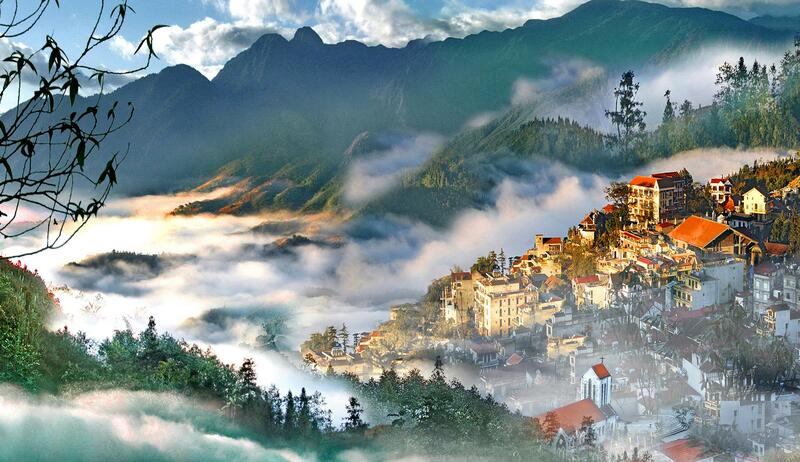 You will arrive in Sapa in the late afternoon and stay overnight in Sapa. 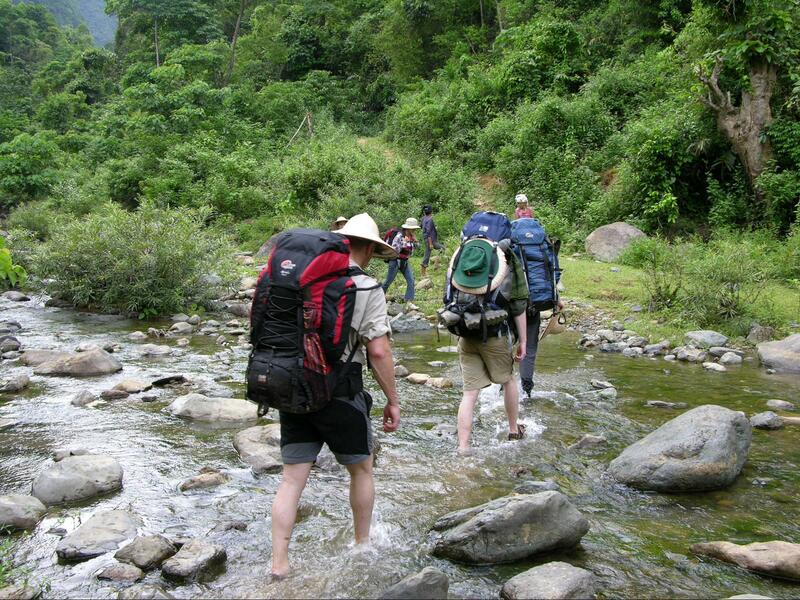 half day trek to local villages in Bac Ha, or simply have free time before an overnight stay in Bac Ha. 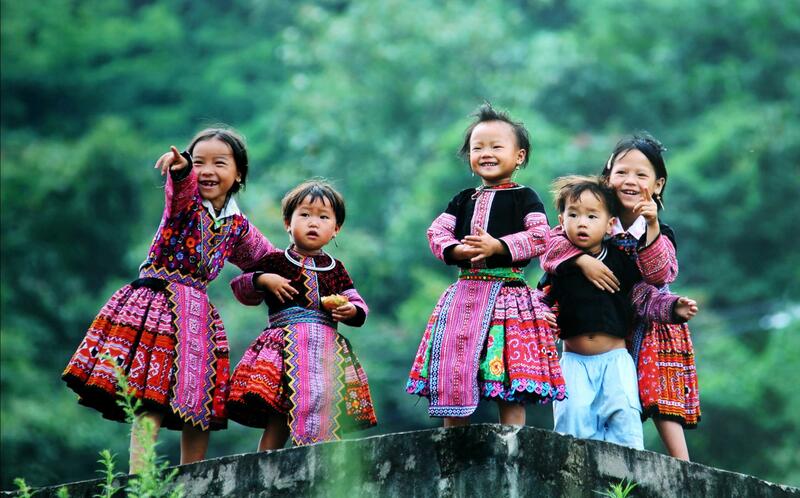 This morning, you will take a very interesting trip in Bac Ha Market. to Xin Man. You will hardly see another traveler on this road but the scenery is outstanding. Then you will drive to Hoang Su Phi, where you will have a chance to admire one of the greatest terraced rice fields in Vietnam. Established hundreds of years ago, Hoang Su Phi District is now home to more than 60,000 people, representing 17 ethnic minority groups. They live mainly on rice cultivation and other subsistence crops. In the rocky mountainous areas of Hoang Su Phi District in the northern border province of Ha Giang, the Dao, Hmong and Nung ethnic people cultivate paddies after rains have covered the drought affected fields in late June. You will have the rest of the day at leisure and you will have a restful overnight stay at the Pan Hou Lodge. Hoang Su Phi is a district located on the west side of Ha Giang province, close to the border with China. Hoang Su Phi is famous for its rice field terraces, especially on the road between Hoang Su Phi and Xin Man, where they are classified as a National Heritage by the Vietnamese Government. 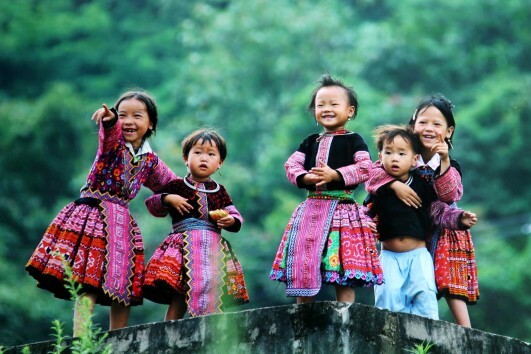 Trekking through this untouched area you will encounter the stunning countryside as well as the fascinating local culture and you may come across the NungIng, Tay, Red Dao, Dao Ao Dai, La Chi and Co Lao, just some of the many hill tribe groups who have settled here. Minh, with spectacular scenery along the way, followed by a drive to Pho Bang, located right on the border between Vietnam and China. After lunch in Pho Bang, you will visit the impressive house of Mong King, before driving to Dong Van, where you will see the most unique stone plateau in the world. In the afternoon you can take a walk to the old street of Dong Van, where you still can find hundred year old houses made from clay, with hospitable local people still living there. You will stay overnight in Dong Van. On this day, you will visit Dong Van Market before driving to Meo Vac, known as the cradle of the Blue H’mong & Lo Lo people, who mainly live on the hill-sides and work on the rice terraces. One of the highlights of the trip today is a great drive to Ma Pi Leng, a breathtaking pass with great scenery from atop the pass. After visiting Meo Vac, you will head to Ha Giang along the beautiful plateau, covered with great rock formations. Upon arrival in Ha Giang, you will have a chance to visit Noong lake. Located about 20 kilometers from the town, this lake was described as the beautiful eye of the mountainous area in Ha Giang. After rafting (a small boat made by bamboo to traveling down on the river or lake) on the lake, you will drive back to Ha Giang to check in to your hotel for an overnight stay at Truong Xuan Resort. Today, you will spend the day on a scenic drive to Ba Be. 7:30 am and drive to Ba Be, approximately 9 hours away, you will pass by and through many valleys, mountains, villages. The journey is an adventure in itself, and you will be rewarded with wonderful and sensational landscapes. You will arrive in Ba Be in the late evening and stay overnight at Duy Tho homestay.